First aid training provides simple advice on how to manage emergency situations and explains first aid techniques and treatments for the most commonly encountered illnesses and injuries. A first aid course is invaluable when you consider that it could make the difference to someone’s life or death. The time and money it costs to complete a first aid course is priceless. Accidents happen without warning but with first aid training and first aid supplies you will be able to care for a stranger, family member or close friend who requires assistance. There are no restrictions on entry to this course however students are required to have sufficient numeracy and literacy skills to read and comprehend instructions. Participants who successfully complete all components of the course will be issued a Statement of Attainment for the HLTAID003 Provide first aid, HLTAID002 Provide basic emergency life support and HLTAID001 Provide cardiopulmonary resuscitation units of competency. You will be assessed throughout the course to show your instructor that you have an appropriate understanding of the procedures necessary to manage a life-threatening situation. Eagle Training Services uses scenarios to demonstrate how to assess the scene of an accident and how to assess the casualty to determine if their condition is life threatening. In these mock situations you are required to use the knowledge you have learnt and administer immediate first aid to help the casualty survive. Classes commence at 8:30am and finish at 4:00pm on both days. All students are required to be present 15 minutes before course commencement time. Late arrivals may be refused from the course as a failure to attend. Training occurs at Eagle Training Services training facilities located in Darwin & Alice Springs. Participants undertake the course in comfortable, air-conditioned classrooms with the latest IT and audiovisual capabilities. Students are supported through the provision of high quality learning materials and resources. $180 per student. A $50 deposit is required upon enrolment to secure a course placement. The remaining course fee is to be paid in full prior to course completion. Course fee is fully refundable only if the course is cancelled. This price includes all study manuals and materials. Eagle Training Services provides welfare and support services within its professional capacity. Clients should identify existing needs prior to enrolment so that appropriate arrangements are made. Where additional support is required, the client will be referred to a specialist agency to access appropriate support. Eagle Training Services has a documented policy regarding access and equity. It is recommended that students do not wear skirts or dresses due to the nature of the practical exercises conducted throughout the training. Print your course flyer here. For serious competition you need serious protection. 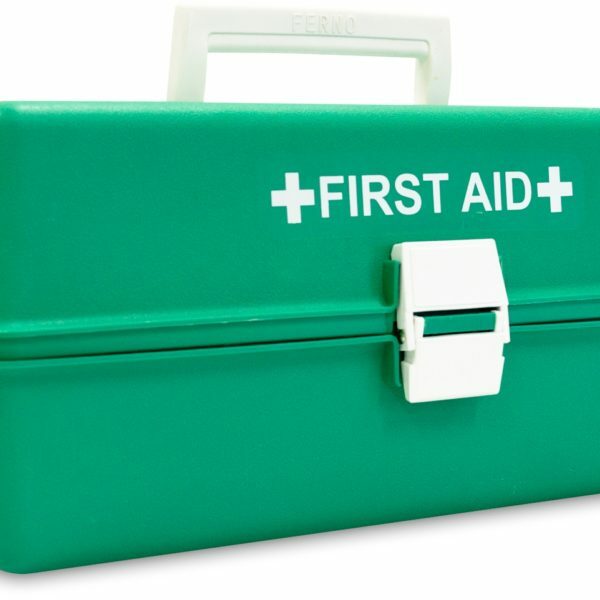 Make sure your club and its members are protected with a First Aid Kit tailored to your needs.. Anyone has insurance to protect their home, so why not grab a Domestic First Aid Kit to ensure the safety of your family in an emergency situation? It has been my pleasure to have Gary Carter & the friendly staff from Eagle Training to provide all our security staff over the past 10 years, with all their security, safety & first aid training. I have found Gary & his staff to be very accommodating & professional in all aspects of his training courses, Gary Carter and Eagle Training has played an important role in raising and enhancing the over all security profile of Alice Springs & Central Australia’s security officers.